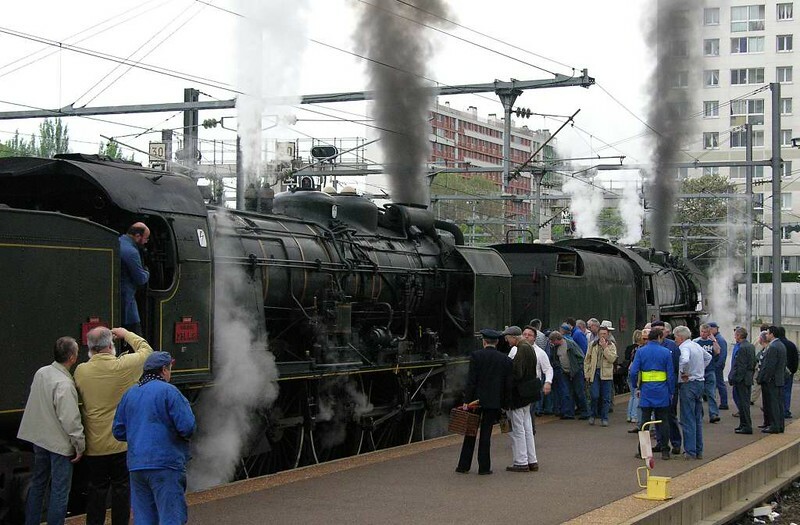 59 photos of a tour from Paris to Marseilles and back hauled by Pacific 231.K.8. The tour has never been repeated. SNCF 231.K.8 & 141.R.420, Clermont Ferrand, Tues 3 May 2005 2. The Mediterranean Steam Express left Clermont 30 minutes late as the locos had been late off shed.